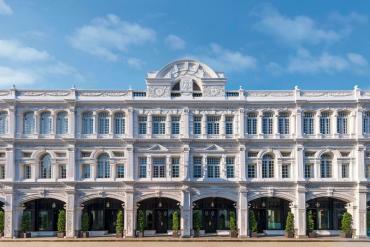 More and more luxury watch manufacturers are targeting China and their newly emerging affluent citizens. 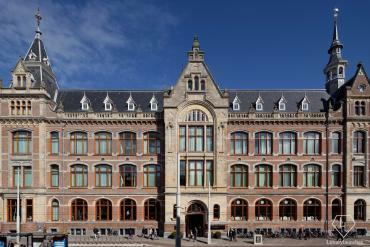 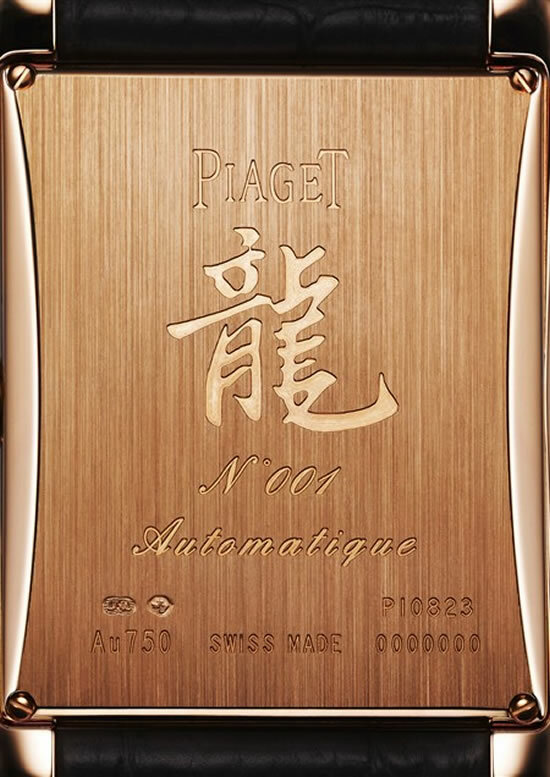 Joining the list is Piaget who is helping celebrate the year of the Dragon with a collection of watches. 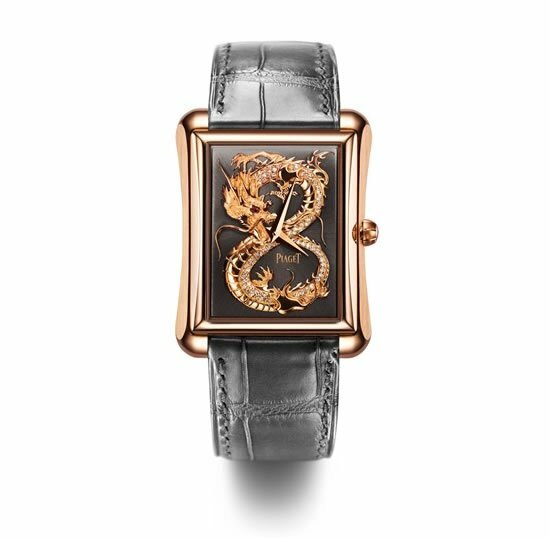 The Dragon and Phoenix watch collection are available in limited pieces and include over 20 models for both men and women. 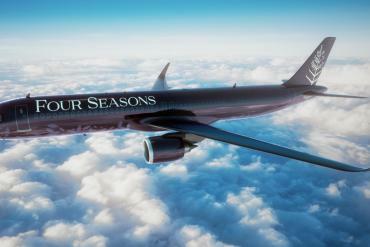 The images of Dragons and Phoenix represents the very traditional Chinese facet that we have come to recognize. 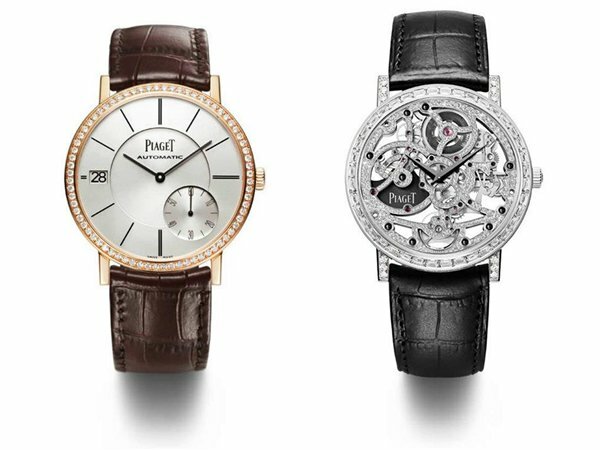 Some of the models we mention here include the Piaget Emperador XL, Piaget Altiplano and Limelight Twice. 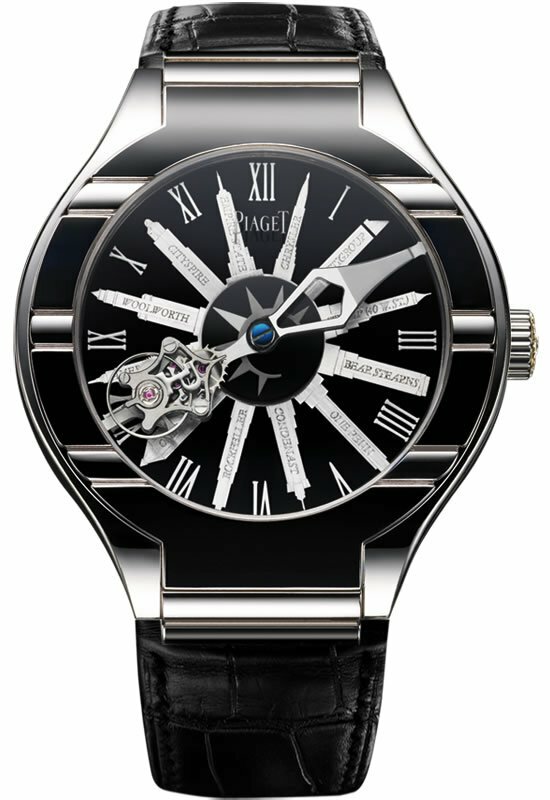 The Piaget Emperador XL is available in numbered edition of 8 pieces. 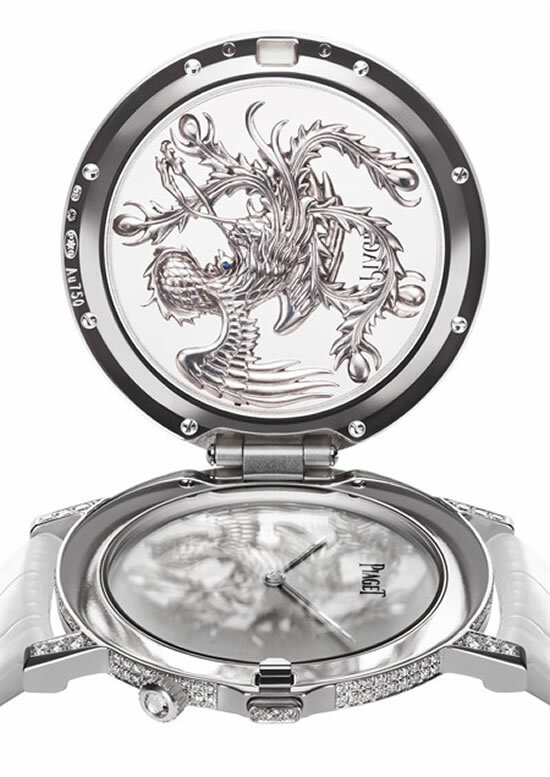 Features include 18K pink gold case, hand engraved dragon design set with 257 brilliant-cut diamonds, movement of 600P manual-winding tourbillion, sapphire crystal with gild applied dragon case-back with grey alligator leather strap. 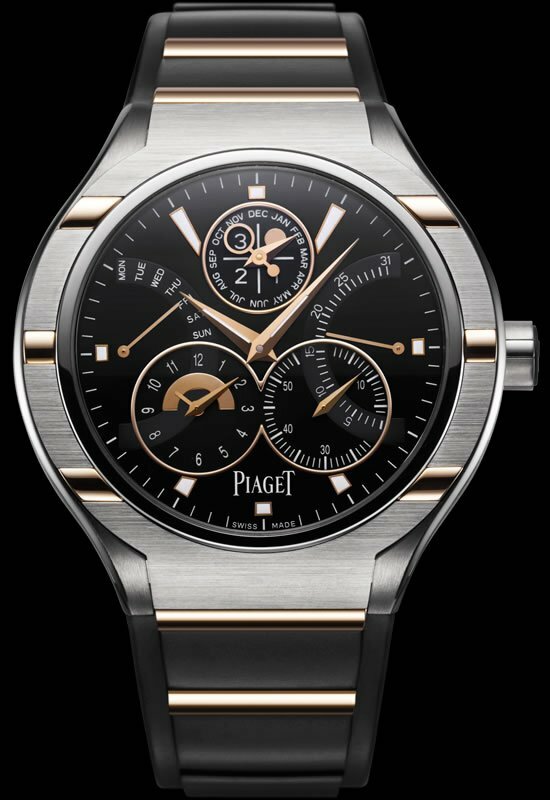 The next watch in this collection is the Piaget Altiplano with a uniqueness of being a single watch with two cases. 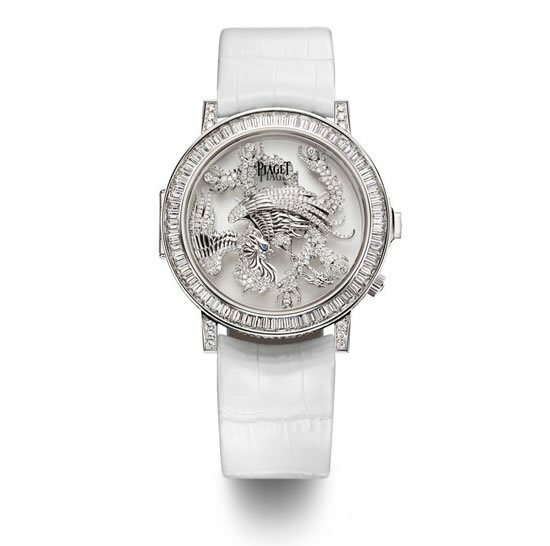 The upper case consists of 381 brilliant-cut diamonds and 60 baguette-cut diamonds and the lower case is made from 18K white gold phoenix design with 355 brilliant-cut diamonds with hand engraving on the back. 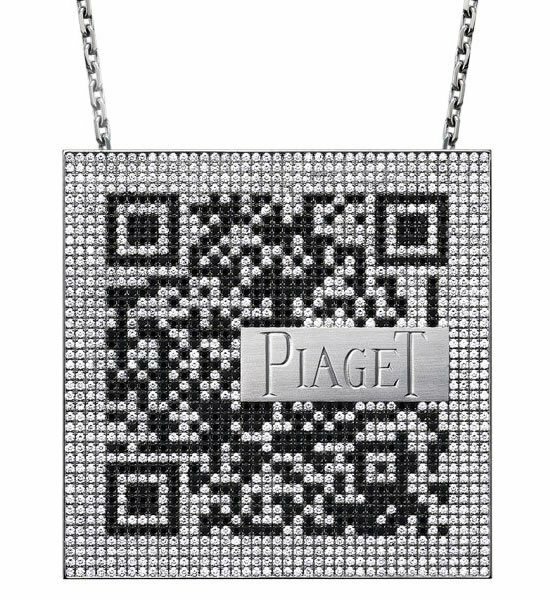 Available in numbered edition of 8 pieces this watch is smartly finished off with a white alligator leather strap with 18K white gold clasp. 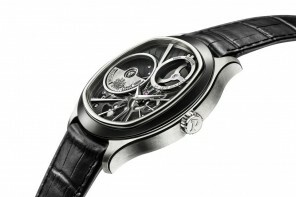 The Limelight Twice watch will have all the ladies drooling. 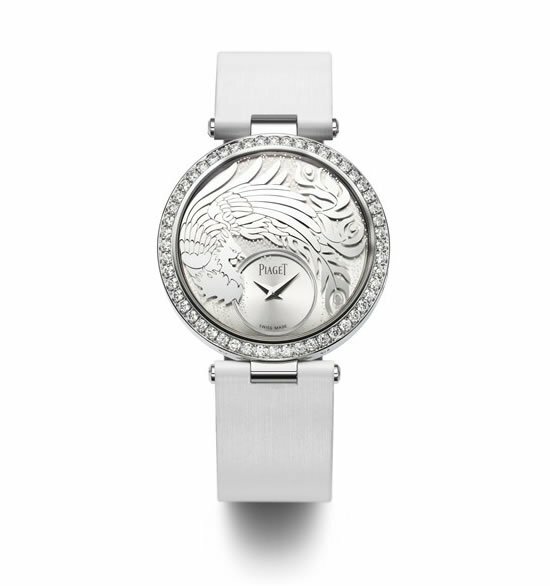 This stunning watch is a double–sided watch. 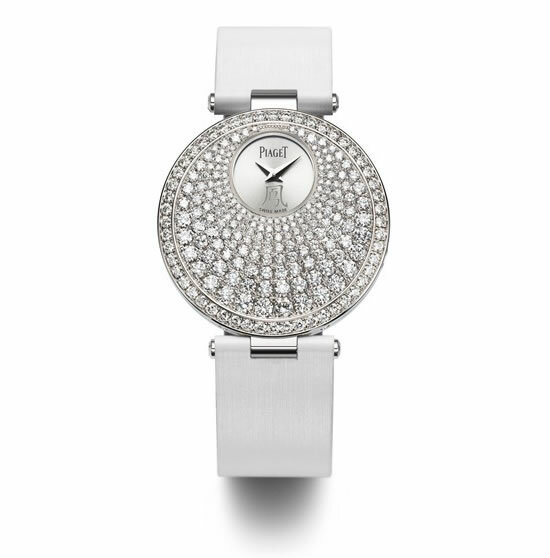 The first side is 18K white gold with sunburst motif set with 226 brilliant-cut diamonds. 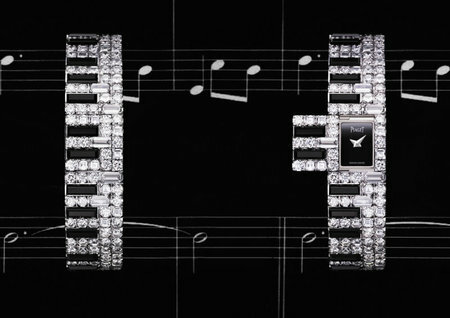 The second set is 18K white gold set with 52 brilliant-cut diamonds and has reversible white and black satin straps.